Derwent Water. Spot the Photo Bomber. January. We celebrated Wil’s Birthday with a weekend break in his favourite Lake District town Keswick. Speaking of Watering Holes ! March. 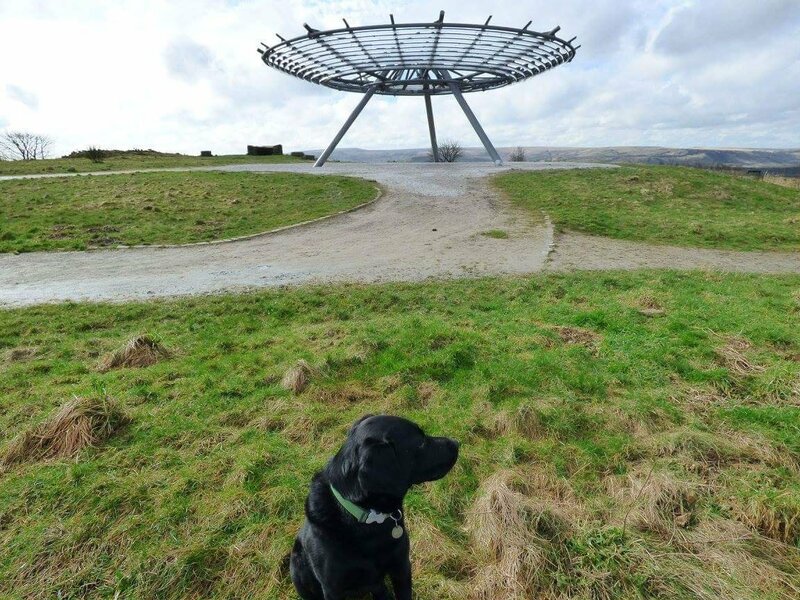 Spring was in the air in March when Wil and I went Searching for Panopticons in East Lancashire.We found two, but as yet, still have two more to visit ! I ticked Manchester’s Cat Cafe off my Bucket List ( Meow) and even did a Toilets Of Manchester Walking Tour. April. It was my little sister’s 40th Birthday this month and we celebrated with a mini break in the Big City ( London) with our younger brother and other halves. Our trip included The Natural History Museum, Afternoon Tea at Claridges and watching The Lion King. You can read all about it here. Finding Nemo on The Malham Safari. and more Yorkshire fun was had on the Malham Safari Trail. Beach Huts Galore in Norfolk. Dutch Pancake on The Albatross. Waiting to Board The Ullswater Steamer. August. Anyone for Afternoon Tea? I can certainly recommend a fun, quirky and delicious one at The Cake ‘Ole in Skipton. 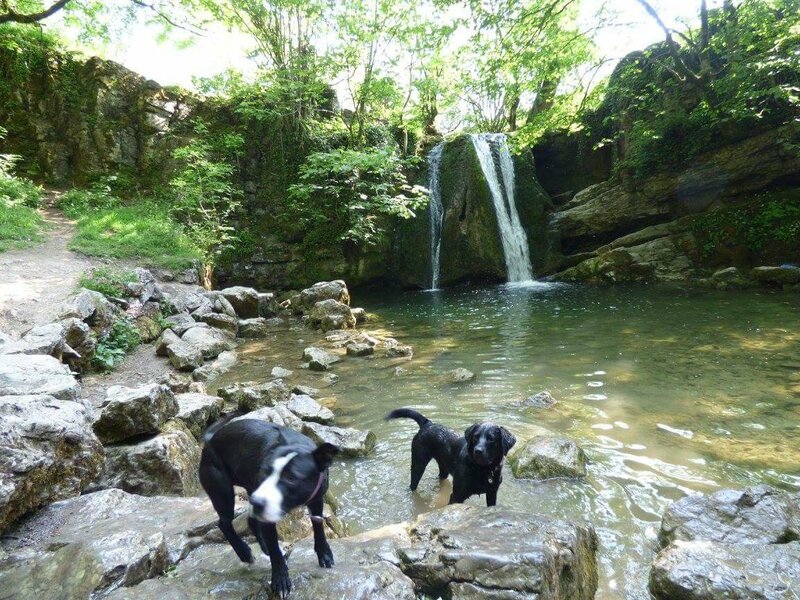 And August is a great time to go camping with the kids, as we found out when we accompanied friends to Meadow Falls near Ingleton. September. We had a bit of an Indian Summer this month, which made up for a damp squibby August. Luckily we got to make the most of the sunshine on a day out with my niece and nephew in Morecambe and we spent a week in the The Lake District , bagging my first wainwright fell and enjoying the incredible views over Wastwater. October. Days out in October included A family friendly bike ride on the Lancashire Cycleway from Lancaster to Morecambe and back. It was my first time on a bicycle for many a year, so I was pretty happy that I made it! Relaxing at The Turkish Baths. November. My Birthday month was made so special when Wil booked us two nights in the Yorkshire Spa town of Harrogate. I have always wanted to visit the Turkish Baths there so I checked us in for a morning, which was really enjoyable. We also visited nearby Knaresborough with its ancient castle and railway viaduct. December. And its nearing the end of 2017 now after a fairly quiet but lovely December. 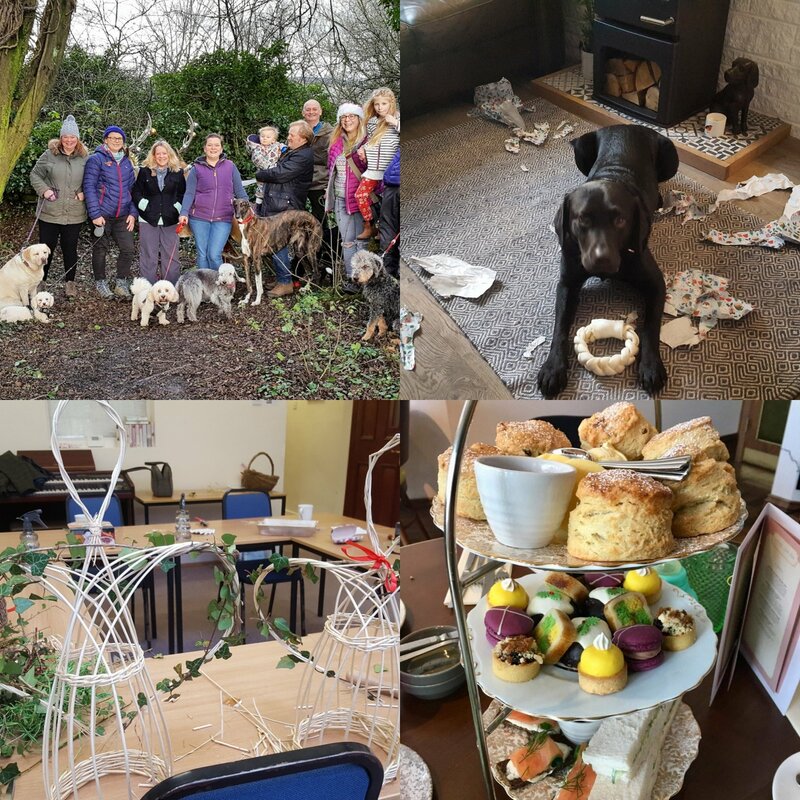 Highlights included Hugo opening his Christmas presents ( he is very good at unwrapping, just need to train him to wrap up 😉 ), The traditional Christmas Morning Walk, Willow Angel Weaving and a Festive Afternoon Tea at Alexanders in Skipton. 25 Before 45 ~ A Bucket List. 1.Learn to crochet. Discovered this isn’t my bag. 2.Find a keep Fit Regime I like. I have enjoyed the #walk1000miles challenge and am still continuing. Hopefully 1500 miles this year and maybe 2000 in 2019. 3.Eat a Dutch Pancake in Amsterdam. 5.Make an Honesty Box Meal. 6.Read To Kill A Mocking Bird. Bought the book in Fargo village in Coventry and loved both the book and the film. 7.Watch a Film outdoors. Saw Sightseers at Lowther Castle under the stars. Sightseers at Lowther Castle~ with Picnic Cinema. 9.Have a Vintage Make over. 11. Go on a proper picnic with a picnic hamper. Bought a hamper from a charity shop and enjoyed a picnic in Dunsop Bridge. Unfortunately Hugo took a chomp out of the cake! 14. Photograph a Barn Owl in the wild. 15. Do a Rail Ale Trail. The East Lancs Rail Ale Trail from Bury to Rawtenstall. All Aboard for a Rail Ale Trail Tour. 16. Take Part in a sponsored Charity Event. Raised money for the East Lancs Hospice, whilst walking across Morecambe Bay. The Morecambe Bay Cross Bay Walk. 17. Have Afternoon Tea at Cloud 23. 18. Enter Hugo in a Doggy Competition. Done! 22. Experience a night out down Canal Street. The rainbow village in Manchester, a top night out! 24. Visit the new Cat Cafe in Manchester. My friend Lisa and I spent some quality time eating cake and stroking cute kitties. 25. Cook a proper Sunday Roast Lunch ( I almost never cook!). Come trekking with us. Don’t forget the Picnic!! A Pocket Mountain Book of Northern Delights. Another Place, Crosby Beach ( image via pinterest). The author ‘Anne Ward’, loves nothing better than to wander about aimlessly with a camera. 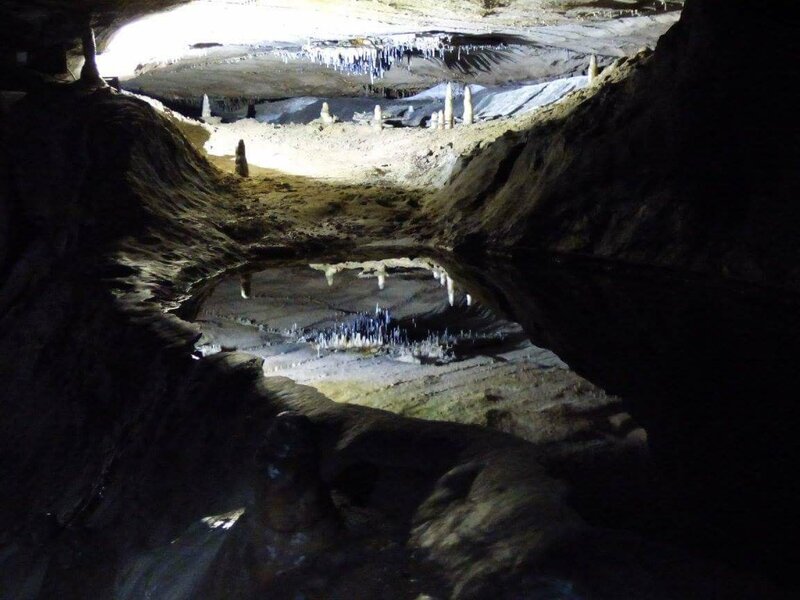 She made it her mission to discover peculiar places and family holidays meant leaving no stone unturned in her quest to discover the North’s hidden gems. Here is just a small selection of the attractions mentioned. A couple I have happily already discovered under my own steam, the other’s are awaiting my visit! Another Place ~ Crosby. One hundred cast iron figures looking out to sea, straddle 3km of Crosby beach near liverpool. Designed by artist Antony Gormley the statues are modelled on his own body. The guide says they are sometimes adorned with sun-hats,motorbike helmets and even santa outfits. And are a handy place to leave your flip-flops! I found a great post about Another Place at kathyathy.com . Saltburn Cliff Lift ( image via pinterest). Saltburn-By-The-Sea Cliff Lift and Pier. The funicular railway is the oldest operating water balance cliff lift in Britain, according to Northern Delights. Visitors can ascend and descend the cliffs in style here in this little known Victorian resort. The Pier at the bottom is the most Northerly surviving pleasure pier in Britain and the surf at Saltburn rivals that of Cornwall. Visit www.saltburnbysea.com for more info. Friendly tree at the Forbidden Corner ( image my own). The Forbidden Corner ~ Coverham. Here’s my post from a couple of years ago, about this delightful collection of statues,mazes,follies,castles and water features set in woodlands and beautiful gardens in the Yorkshire Dales. 🙂 A magical place indeed. Pontefract Liquorice Festival ( Image via Pinterest). Seahorses at the iconic Midland Hotel . ( Image my own). Midland Hotel ~ Morecambe. The beautiful art deco building in the Lancashire resort of Morecambe graces the promenade and enjoys vistas over the bay. Restored in the last few years to its former glory, it is once again an elegant place to stay and hosts eclectic events such as Vintage By The Sea . Carnforth Station ( Image via Pinterest). Marsden Grotto ( Image via Pinterest). Marsden Grotto ~ South Shields. Britain’s only pub in a Sea Cave is here apparently. According to my little guide book, visitors can walk down the 137 zigzag steps ( or take the lift) and enjoy a drink in the shady nook. It’s history tells of smugglers hiding their contraband in the cave and the grotto is said to be haunted by those rum suping spirits. Spooky! Any interesting or quirky places in your neck of the woods? Hugo’s Haunts ~ Dog Friendly Whitby. The Yorkshire seaside town of Whitby is a great place to visit all year round, and we found that to be true , even out of season in mid November. We rented a dog friendly terraced house on Elgin Street ( there are plentiful pet friendly properties in Whitby) and spent the week mostly eating,drinking and walking with our labrador Hugo. Whitby really does love our four legged friends! There are an abundance of cafes,tea rooms and pubs that welcomes both man and dog.Here is just a small selection that we visited on our trip. Sherlock’s on Flowergate is a cosy and quirky tea rooms with you’ve guessed it, a slight Sherlock Holmes theme. The decor does resemble what you would imagine 221b Baker Street to look like. Upstairs is Dr Watson’s Parlour and it wouldn’t have surprised me to have witnessed the deerstalker wearing detective himself enjoying a cuppa. Not that Whitby has any connection to the author….except a very slight one. Sir Arthur was friendly with one Bram Stoker. The cobbled streets ,picturesque harbor and ancient abbey were his inspiration for the gothic masterpiece ‘Dracula’. Try the ‘Draculas Delight’ ice cream sundae or warm up with a coffee and enomas slice of cake. White Hose and Griffin ,not far from the Abbey. Whitby Walks. Between November and April Whitby’s beach is popular with dog walkers. The two mile walk along the shoreline to Sandsend is well worth it as the pretty little village has a couple of cafes and pubs. We tried out the very dog friendly ‘Harte Inn’ which specializes in fresh seafood and found it very good indeed. Alternatively you can walk along the Monks Trod to Ruswarp , lunch at the Bridge Pub and walk back along the river Esk. Oh and if you want to discover more about the area’s spooky history, why not try a ghost walk. These start at the Whale bone arch on Whitby’s West Cliff at 7-30pm most evenings. I’m afraid I never got to do one this time…but hopefully one day.